Why Enterprises are Shifting Towards Social Intranet? The use of enterprise social networks for business has emerged as a crucial means of marketing, promoting and managing employee and customer relationships. Communication through emails are the oldest and most popular modes of communication and collaboration in enterprises. But how many of us suffer under an overload of unnecessary emails and clogged mailboxes? Using social networking intranet for enterprise collaboration might be an option worth considering while ensuring that important information locked in emails is not lost simply because an employee leaves the company or is unable to manage the vast number of messages demanding his attention. Every single day, we check out social media platforms, where tones of information are being displayed followed by numerous likes, share, and comments. No doubt in the fact that, almost the world’s day to day happening is being displayed on social media platforms like Facebook, Twitter, etc. Plus, such sites are also responsible for engaging new set of clients from a business perspective and establish a conversation between them. When it actually comes to creating a company social network, professional assistance is required to create such platforms as per your business requirements. 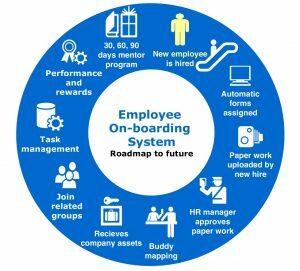 Looking for an effective social intranet for companies with more than 500 employees. Gain complete control of your company social intranet with offline access to employees. 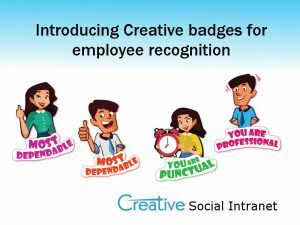 Hybrid social intranet are for companies with large number of employees with lesser HR budget. Companies that have branches spread globally. Our cloud intranet solutions are cost effective social intranet solutions. 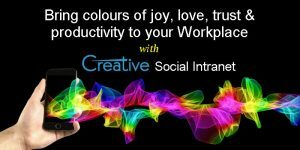 Get your intranet fully managed by Creative team and hosted on Creative servers with zero hassle. Need help with Social intranet solutions?